Now is the time to prepare your lawn for the onslaught of winter. Consider carrying out the following simple tasks in order to help your lawn survive the cold and to thrive next spring. Fertilise now. 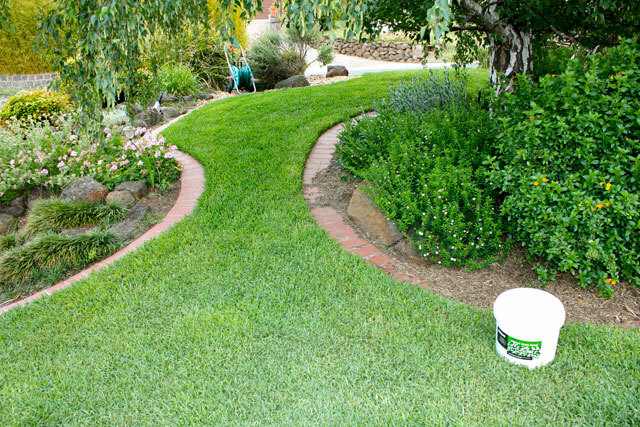 The use of a complete Lawn Fertiliser with a balanced NPK is ideal at this time of year. Don’t use too excessive Nitrogen at this stage unless your lawn looks like it is starving and needs “greening up”. Raise the mowing height. As the sun is now getting lower in the sky and not directly overhead a higher percentage of lawns are now in full or part shade. Raising the mowing height increase the leaf area and helps your grass to survive shady conditions. Sharpen or replace mower blades. Blunt blades shatter rather than cut the leaf. Disease enters through damaged leaf blades. Autumn and Winter are the disease months for turf. Mossy areas start to show up in cooler months. This is usually a sign of poor drainage and compacted soils. Aerate these areas with a large garden fork to break up the hard surface and allow water to penetrate through the soil profile.